Just when Padraig Harrington thought that there was no end to the bad news, his first round rival in tomorrow’s WGC-Accenture Match Play Championship revealed that he is mentally and physically exhausted after a six-week road trip. Temperamental Pat Perez, the 32-year old who finally made headlines for the right reasons when he broke his PGA Tour duck in last month’s Bob Hope Classic, won’t turn up at the Ritz-Carlton GC at Dove Mountain until Tuesday. 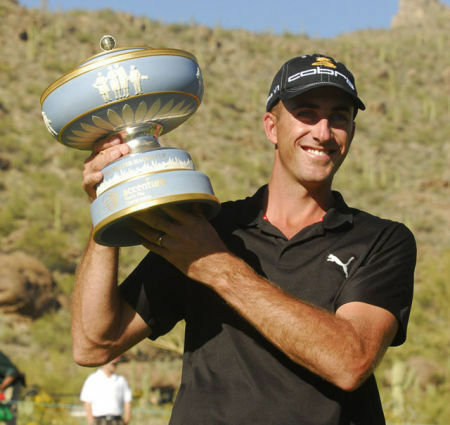 Harrington hailed the Phoenix native as “a man in form” when he learned that they were to clash in the first round in Tucson, Arizona. And after missing successive cuts on the West Coast swing, the Dubliner may just have the edge over the man they call “Double P” on a 7,800 yard Jack Nicklaus design that hosts the first World Golf Championship of the season. Down one place to fourth in the world behind Tiger Woods, Sergio Garcia and Northern Trust Open winner Phil Mickelson, the Dubliner will have played 36 holes of practice by the time he tees it up against a teak tough opponent who is something of a desert specialist. Yet Perez - famous for making an obscene gesture at his golf ball and breaking a club over his knee in a 2002 Pebble Beach Pro-Am meltdown - insists he is running on empty. “That was good,” Perez said of his Bob Hope win as he finished 30th at Riviera on Sunday. “But I need some rest. I've be on the road six weeks now and next week's my seventh. So I'm going to get home tonight and take tomorrow off, get some rest and try and get my game back in shape. I've been kinda off for the last couple of weeks. The American with Irish roots made his Accenture Match Play debut in Tucson last year, taking Mickelson to the 18th. Against Harrington, he plans to take a strokeplay approach and hope he’s far enough ahead on the back nine to close out the match. “I don't believe in the messing with the other guy thing,” he said. “I'll just try to hit good shots; hit it close. If you make putts you're going to win. You've got to make putts early. Play well on the front nine. Try and get yourself in the lead and put it away. Perez can claim Irish roots as his mother, Patricia White, is the Italian-Irish daughter of an Irish mother. Ireland will have three runners in Tucson with Rory McIlroy, down one place to 17th in the latest world rankings, taking on his International Sports Management (ISM) stablemate Louis Oosthuizen and Graeme McDowell facing 2007 Masters champion Zach Johnson. Despite his late collapse at Riviera, where he had to settle for a share of 41st place after dropping four strokes over the last four holes, McDowell fancies his chances of getting a run in Tucson and is not intimidated by Johnson, who reached the semi-finals in 2006. Woods will return to action after eight months out of the game when he faces Australian Brendan Jones while Mickelson must beat Angel Cabrera if he is to take on the winner of the McDowell-Johnson match on Thursday. The left-hander retained the Northern Trust Open by a shot from Steve Stricker to jump from fifth to third in the world. But it was roller-coaster final round that featured a major wobble and he knows he must become a better front runner if he is to catch Woods and become world number one. Four clear after his incredible Saturday 62, he resumed with an eagle, but then had five bogeys and trailed Stricker by two with three holes to play. But Stricker bogeyed the last and Mickelson birdied the 16th and 17th to win and close the gap on Woods in the rankings to just 2.22 points. Padraig Harrington avoided sunstroke, the diamond-backed rattlesnakes and even the nasty, jumping cholla cacti that await the unsuspecting golfer in the Sonoran Desert that plays host to this week’s WGC-Accenture Match Play Championship. But he still got badly stung, not so much by Pat Perez, but by his own failure to separate his technical thoughts from that golfing rule of natural selection: He who gets his ball in the hole first, wins. Geoff Ogilvy won’t be underestimating Padraig Harrington if they eventually clash in Tucson next week.Padraig Harrington faces a tough first round clash in next week’s WGC Accenture Match Play Championship - even if Francesco Molinari decides to withdraw. The Italian says he is 60-40 in favour of playing after becoming a father for the first time recently and his participation would see Harrington face Australia’s Geoff Ogilvy, winner of the title in 2006 and 2009 and the beaten finalist in 2007. Padraig Harrington believes he will be turned on mentally when he faces Geoff Ogilvy in the first round of the WGC Accenture Match Play tomorrow. 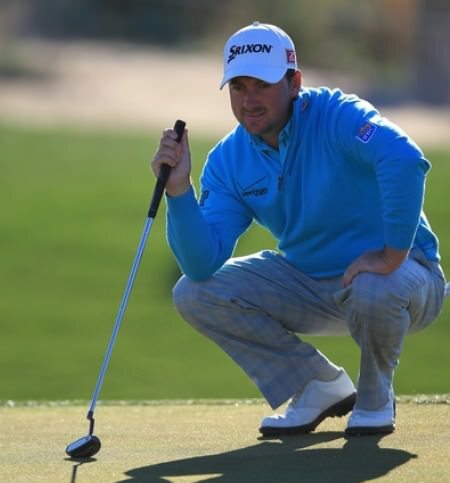 Graeme McDowell was relieved to beat Padraig Harrington 2 up in Tucson. Picture: Fran Caffrey/www.golffile.ieGraeme McDowell got a scary glimpse of the competitive animal inside Padraig Harrington before surviving a dramatic back nine comeback to beat him on the 18th and set up a second round showdown with Sweden’s Alex Noren in the weather-delayed WGC-Accenture Match Play. Graeme McDowell, pictured the second, was like an assassin on the greens against Shane Lowry. 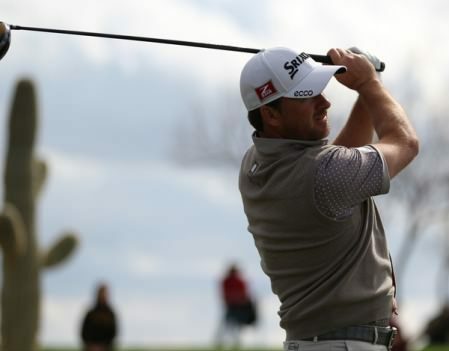 Picture Fran Caffrey / www.golffile.ieGraeme McDowell did Pádraig Harrington a massive favour when he ended Shane Lowry’s magical run and sent his pal packing in the third round of the WGC-Accenture Matchplay at Dove Mountain.